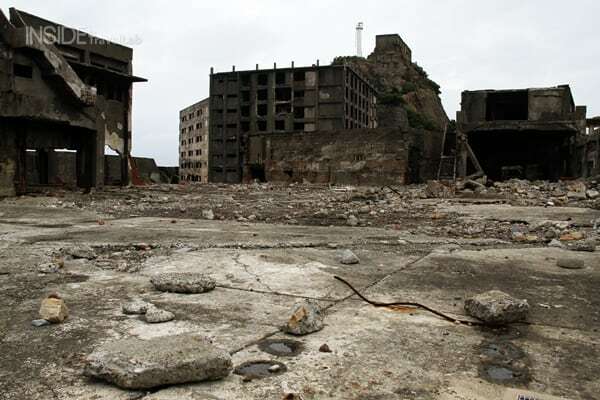 The Japanese call it Gunkanjima. 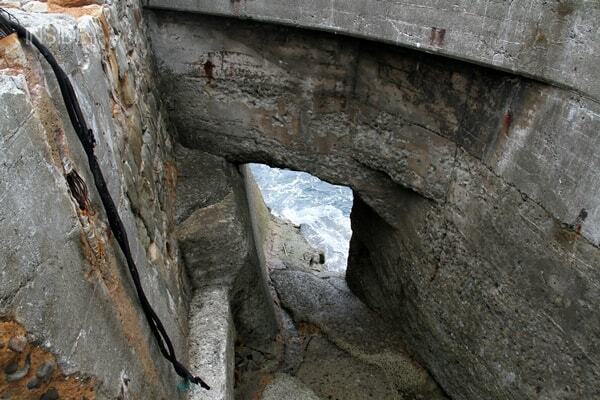 But Bond knew it as the base camp for Silva, his archenemy in the latest Blockbuster Skyfall. Pitched a good half hour boat ride from the city of Nagasaki, this eery, derelict enclave once served as a workplace, playground and home to a community of Mitsubishi coal miners. To begin with, the company transported workers to and from the mainland each day before some bright spark realised that it would be quicker to just house the workers on the island itself. It became one of the most densely populated places on earth as 5000 people squeezed into an area the size of a football field. When the coal – and the jobs – ran out in 1974, Mitsubishi promised new work on the mainland on a first come, first served basis. The islanders fled, leaving pictures, bicycles and coffee mugs scattered behind. 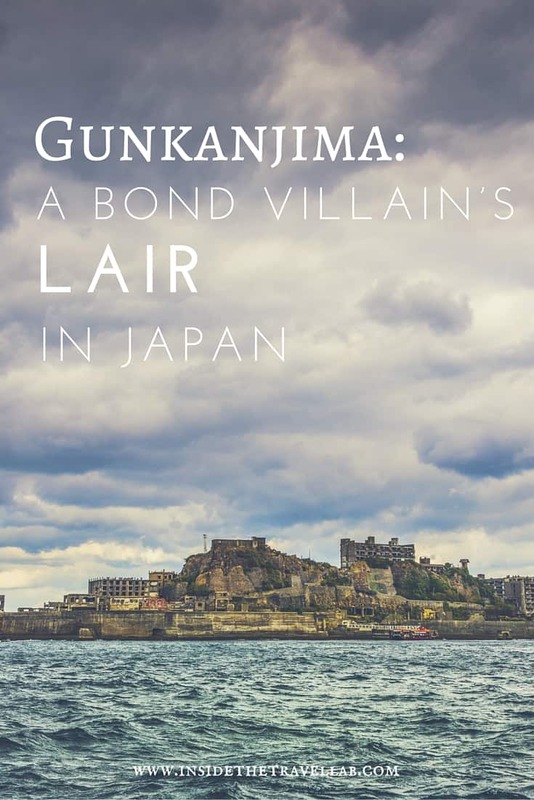 As time triumphed over manmade inventions and the buildings crumbled away, the island’s silhouette grew to resemble the outline of a battleship and the Gunkanjima nickname was born. And then, in a bizarre international twist, current Bond Daniel Craig spotted a picture of the island at a function in Stockholm. He noted down the details. And two years later it became the plaything for Javier Bardem and the execution site for Marlohe’s elegant Bond girl, Severine. There’s not much elegance when you visit today. But then, nor is there a psychopathic former agent with a face stripped to the bone from a botched cyanide experiment, which is probably a good thing. Instead, there’s a well-marshalled walkway and viewing platform that lets you glimpse briefly into the skeleton of this former factory. The boats circle the “battleship” and the empty windows stare out like orbits from a skull. And then it’s time to go home. 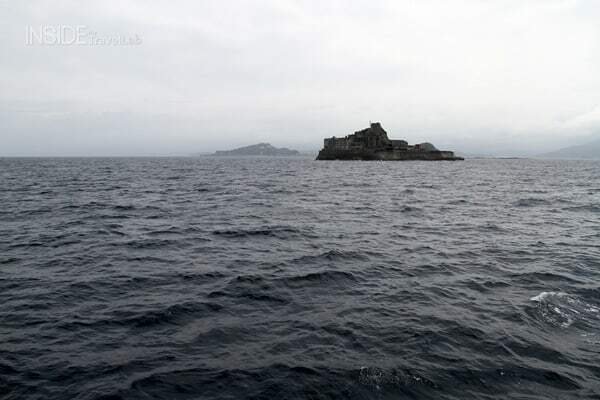 Back to the mainland, back to Nagasaki and back, it seems, to reality, leaving the ghosts and their graveyard behind. Disclosure I travelled to Kyushu thanks to the Nagasaki Tourism Board, JTB Kyushu and KLM, whose recent flight route connecting Amsterdam to Fukuoka has opened access between Europe and Kyushu. 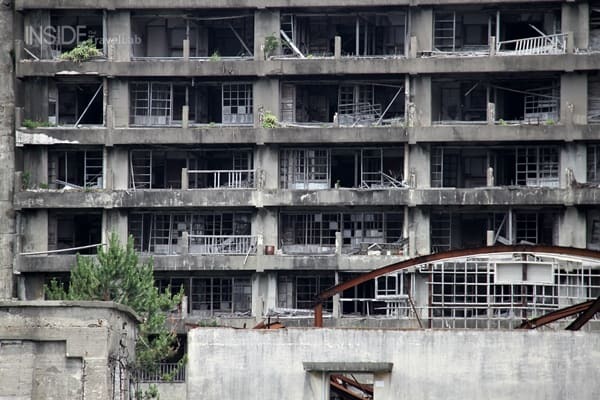 It seems like an enormous mysterious wave had swooped away all the people… The buildings look ok, but so neglected though. Creepy..
That is so creepy! I read about this place being real the other day but that’s amazing that you go to go there. That tour company must be so happy about what Skyfall is doing for their tourism.